Image courtesy of The original 2010 game. 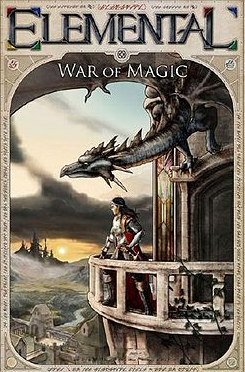 Two years ago, Consumerist reader Joe purchased “Elemental: War of Magic,” a turn-based, strategy game for his PC. Alas, Joe’s response was like that of many reviewers, that the game was buggy and unpolished and not worth playing. “I played it for a few hours before tossing it on the pile of games I’d rather forget,” he writes. just wasn’t a very good game. Its design just wasn’t adequate to make it into the kind of game it should be. So we decided to start over. From scratch. We made a new game called Fallen Enchantress. Thank you for being our customers and your patience. This is exactly the sort of consumer-friendly thinking that more video game publishers should be doing. It not only shows that Stardock is sorry for its past transgressions, it demonstrates a level of confidence in the newer game and (if that game is good), will regain some loyal customers for future games. Previous Will The Marriage Of Penguin & Random House Send Book Prices Soaring?